Every change of season means a new opportunity to explore gorgeous seasonal home decor projects. Snowy and quaint scenes are always popular for the colder months, and one of our favorites from previous years is our two-dimensional papercut winter village. 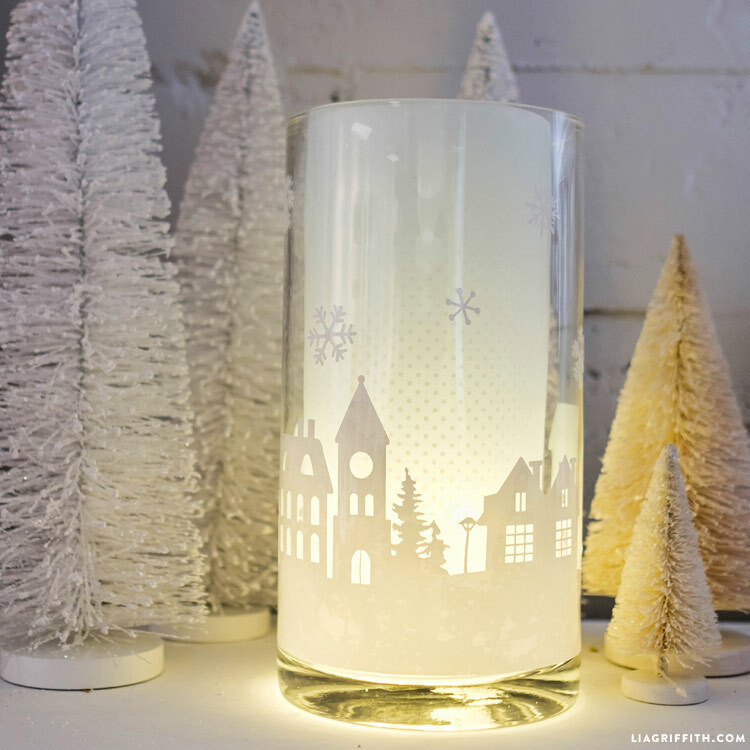 This year we were inspired to try something new by adapting the design into a gorgeous decal for making a DIY hurricane lamp. 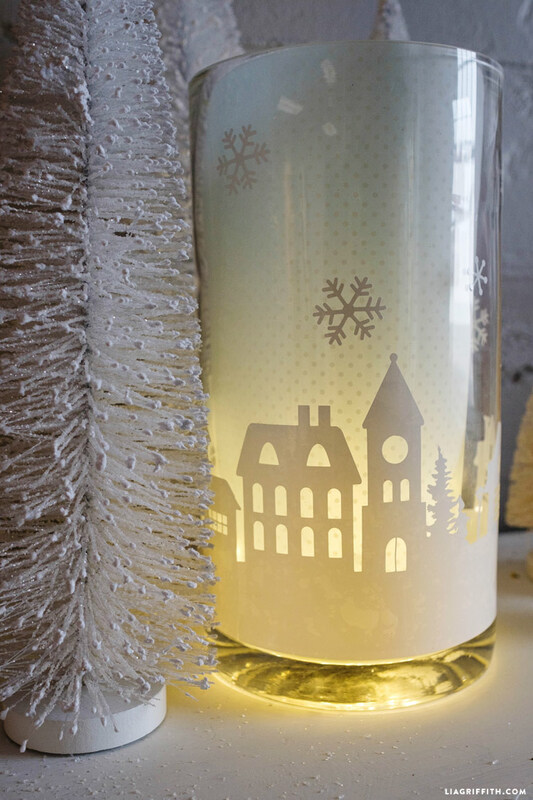 Pair this easy winter home decor with some papercut Christmas art for the ultimate festive display! The first step in making your DIY hurricane lamp is finding your hurricane. 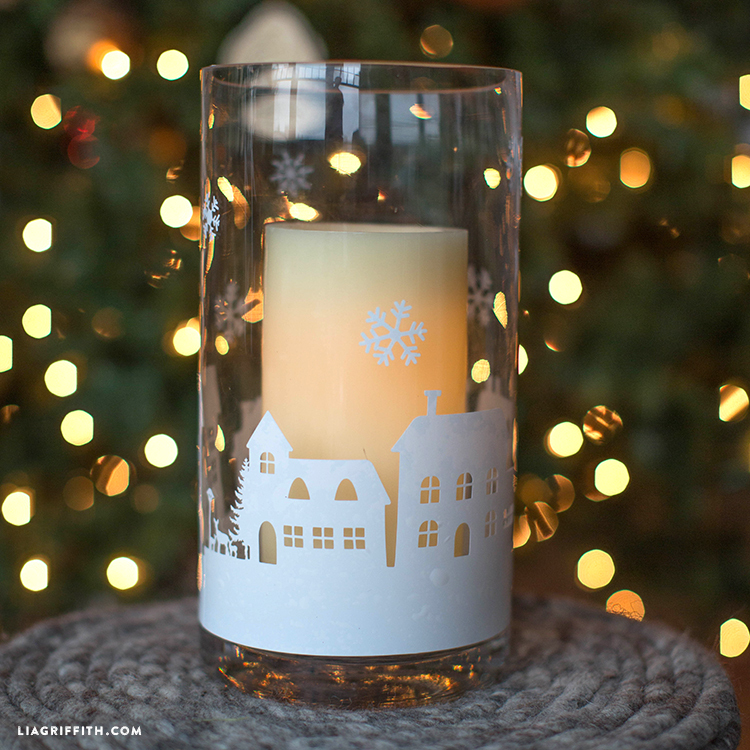 We found our simple glass one on sale at West Elm. Lucky us! Next, download the SVG file below to use with your cutting machine, or find our PDF winter village if you are cutting by hand. You can cut this design onto vinyl to apply to your hurricane, but we decided to use window cling. That way we can easily remove it once we want to transition into spring. 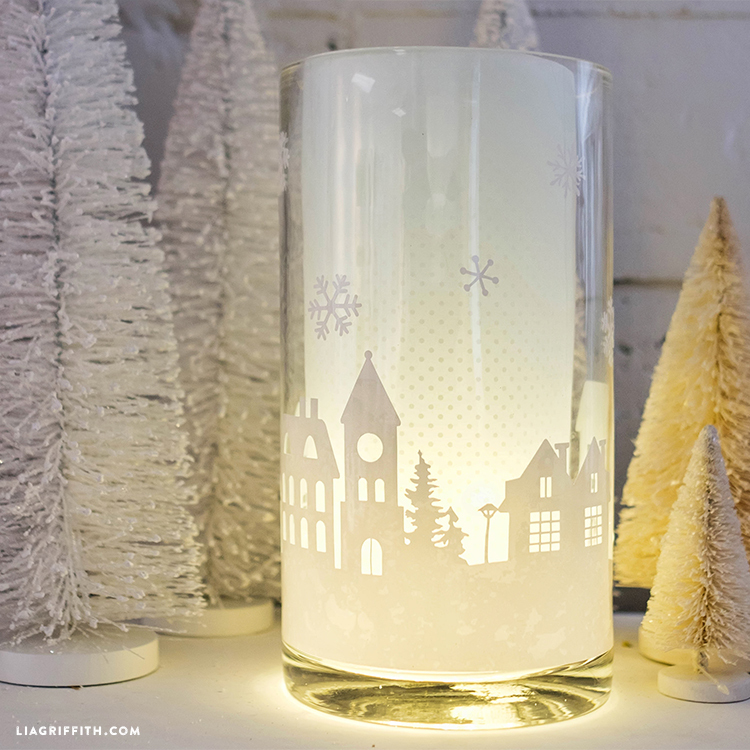 To dress up our DIY hurricane lamp, we added a couple sheets of vellum to the inside of the glass for a frosty look. Then we stuck some twinkling string lights into the hurricane and the scene came to life! 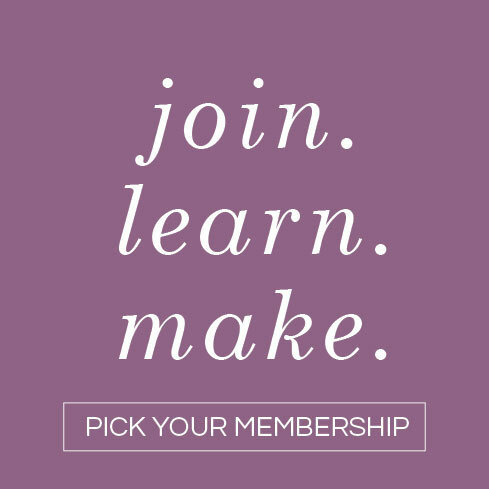 Cut the design using our SVG cut file, or with scissors from white window cling material. Clean the surface of your glass hurricane (make sure it’s dry before you apply the window cling). 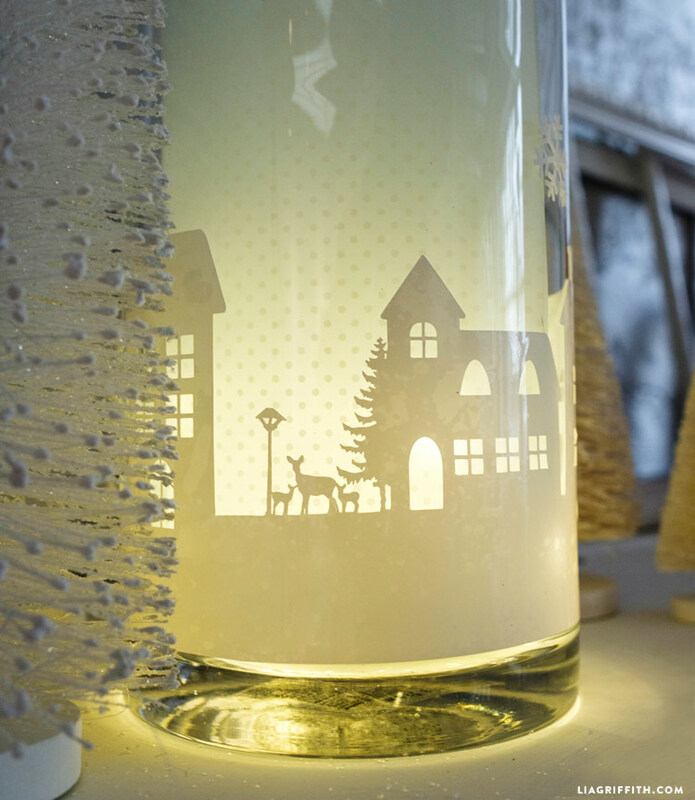 Place the village window cling along the bottom of the glass and wrap around hurricane. 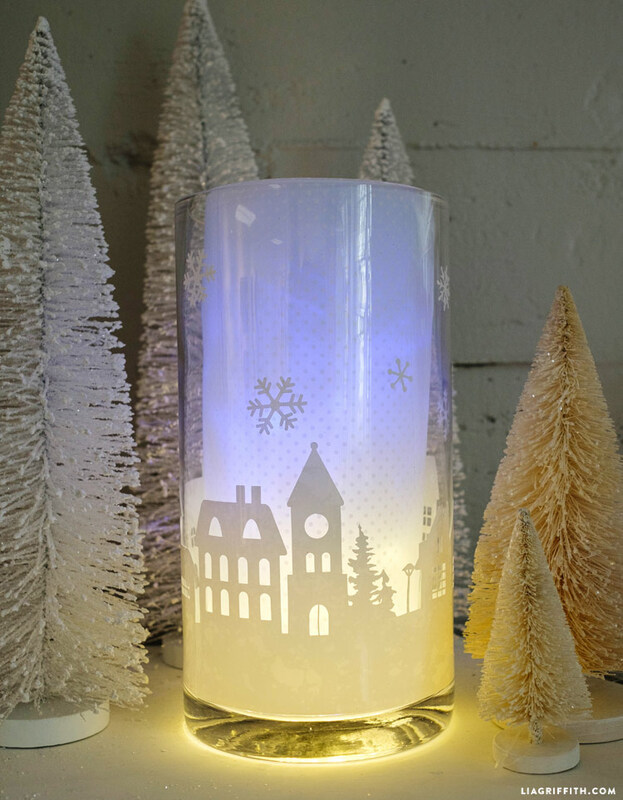 Add fairy lights or an LED candle to light from the inside; add vellum paper for a frosted look! Is there a standard way on can find the instructions on how to assemble a project after we have cut the components? Hi Carole! 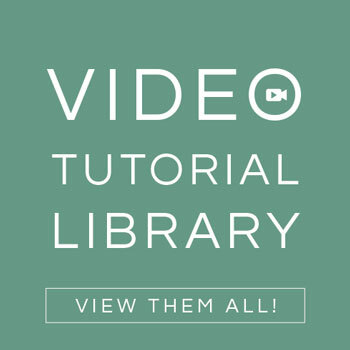 If there are detailed instructions, they will be included in a photo tutorial and/or instructions download. Hi Kathleen! We only use the Cricut machine in our office so we don’t test files for other machines. 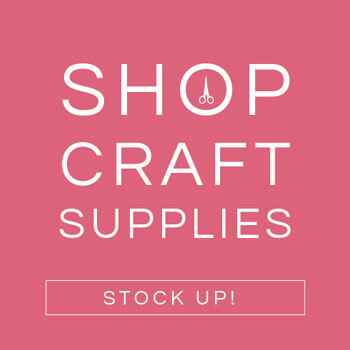 We know our SVG files work with the designer edition of Silhouette’s software (they have to be converted from SVG to .Studio files), and know from members that they can also be used on the Sizzix Eclips2 and Brother ScanNCut. I am interested in make this project as a gift this Christmas. Just a quick question – I assume you are applying the window cling or vinyl to the outside of the hurricane lamp? I read through the links above, but nothing was mentioned about the application. Hi Sara! Yes, we applied it to the outside of the hurricane– it’s much easier than trying to apply it on the inside. I purchased the Winter Lantern but ha confused on how to put it together. Are there some kind of insturctions? Where is the PDF version of this design?